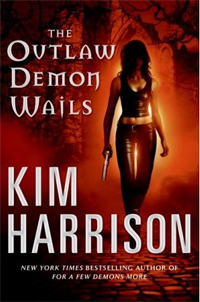 Finished reading The Outlaw Demon Wails (The Hollows, Book 6) by Kim Harrison. To save the lives of her friends, Rachel does the unthinkable. She willingly practiced in forbidden demon magic. And now her sins are coming home to haunt her. As Rachel searches for the truth behind a horrifying murder an even greater menace threatens, the demon Algaliarept will stop at nothing to claim her. The discovery of a shocking secret throws Rachel’s entire life into question. To live free Rachel must first walk willingly into the ever-after in search of long-lost ancient knowledge. The Outlaw Demon Wails is an excellent addition to The Hollows Series. In this book you learn a vast amount of information about Rachel’s past. The end of the book left me wanting to know what happens next. I’m really looking forward to the 7th book in the series.